Q. Are you going to write any more books? A. I'm always writing new manuscripts, editing them and submitting to publishers. Publishers are sent hundreds of manuscripts every year, so it's not that easy to get a book published. Q. Have you got any more books coming out? A. Yes--I have 2 manuscripts accepted. More details coming soon. Q. Can you help me get my manuscript published? A. Here is some advice for how to get published and some handy links. I can also critique your picture book manuscript. Q. How much do you get paid? A. With traditional publishers, such as Walker Books, picture book authors usually get 5% of the retail price. Illustrators also get 5%. Q. Have you thought about self-publishing? A. I love working with traditional publishers. They understand the market better than I do, they are experts on every aspect of publishing and they invest their time and money in my book. I love working collaboratively with editors, illustrators, art directors and graphic designers, which results in a much better book than if I produced it myself. Q. Have you made me a million dollars yet? Q. Isn't it mostly boys who have Asperger's? A. Yes. It's mostly boys, and all the rest are girls. Q. Would you like a piece of fruit? A. I didn't know much about it either until my daughter was diagnosed. People who have Asperger's don't have an illness, they think in a different way. They are especially good at some things and have great difficulty with other things. Each Aspie is a unique person and may have different strengths and struggles. Q. Is there a cure for Asperger's? A. No, it's not a disease. People with Asperger's don't have something 'wrong' with them. However, it's hard for them to fit in because they are different to others. They can learn skills which come naturally to others, such as social cues. Even though I'm sad when my daughter is teased or can't cope with a situation, I love her as she is and I don't want her personality to change. Q. Mum, where are my socks? Q. What was your favourite picture book as a child? 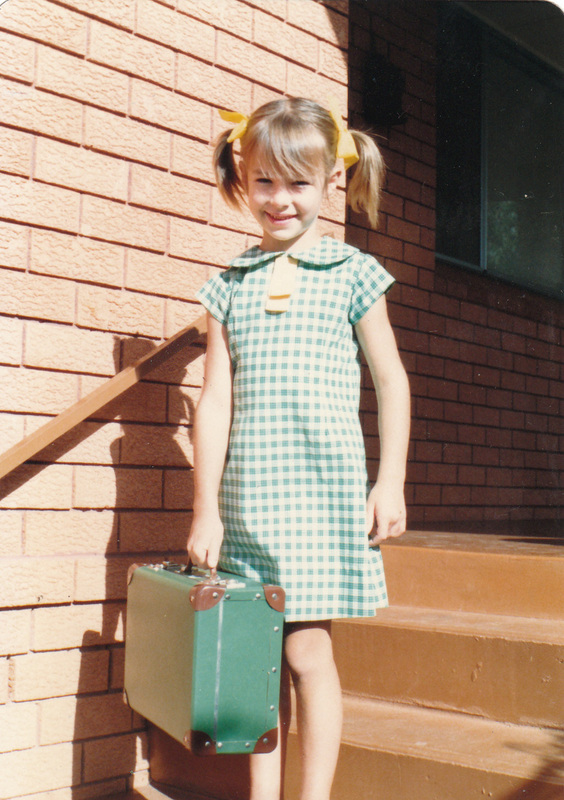 Me on the first day of year 3 in 1981. 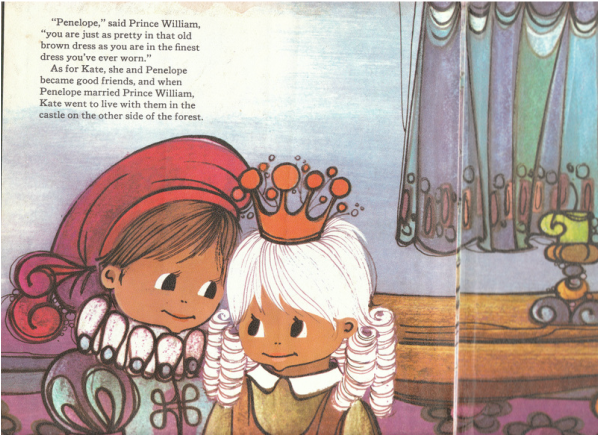 In this book, Prince William doesn't marry Kate, he marries Penelope. Kate becomes Penelope's personal maid. Q. What were your favourite books when you were a school kid? Q. Where's my Spiderman suit? A. Hanging on the line. Q. Would you like a cup of tea? Q. It won't matter if you miss church for just one week, will it? Q. Why do you want to write picture books? A. Mostly because I enjoy it. - It's not because I think I'm particularly good at it. - It's not to make money or I would go and get a job. - It's not because I want to BE an author - I'm fine with who I am already (that is, a child of God through Jesus). I do hope to create stories which children and adults will get some enjoyment out of, and stories which will touch people's hearts. I hope that in the future I might be able to write stories which will help children know and love God better. But at the moment, it's mostly because I enjoy it. It's a break from my normal work, and fun to do even if I don't have any stories published.